This Faculty Learning Community (FLC) will support the missions of Miami and CTE by providing an opportunity for faculty across the university to collaborate and (re)innovate their teaching practices to meet the ever-changing needs of our students. Through scholarly discussions, reflective teaching, and ongoing professional development, faculty will focus on (re)creating their current courses to establish a positive community, increase engagement, and enhance the learning of their millennial students. 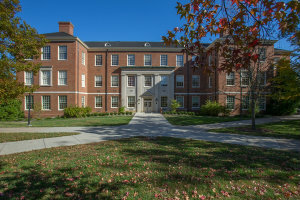 The Miami 2020 unifying goal is to “promote a vibrant learning and discovery environment that produces extraordinary student and scholarly outcomes" (retrieved from http://miamioh.edu/2020plan/). This FLC supports this goal by providing an opportunity for faculty to engage in self-reflection and set goals to increase their teaching effectiveness that allow students to be successful in a forward-looking, efficient, and caring culture. This FLC will provide instructors with the opportunity to (Re)create a course through a new lense. This (re)creation will focus on dividing the course into three parts: beginning, middle, and end. FLC participants will (Re)innovate one assignment, delivery method, or class discussion for each part of their course. (Re)flection will focus on how the (re)creation changed the culture of the class and ultimately impacted student learning. Participants will use data from the first semester as the baseline, and then compare it to second-semester data collected after the (re)creation. Participants will focus on recreating a course to implement millennials-centered teaching activities. Discussions will focus on how to create a positive student community (starting a course effectively), how to increase student engagement (fostering motivation during the semester), and how to increase student learning (finishing a course with a deeper understanding of the material). Strategies will be researched, shared, and explored. During the second semester, each participant will reinnovate an existing course by implementing specific concepts and strategies learned during the first semester and the entire group will reflect on their teaching innovations. Resources will be collected and the FLC will work together to create a website to share with university faculty.